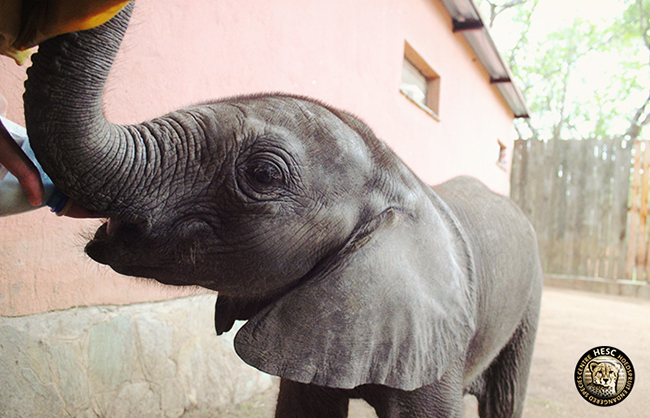 Our baby elephant, Shawu, is doing incredibly well – the little boy now weighs 120kg. He drinks just over a litre of milk every 2 hours during the day; and 1.3 litres of milk every 3 hours during the night. 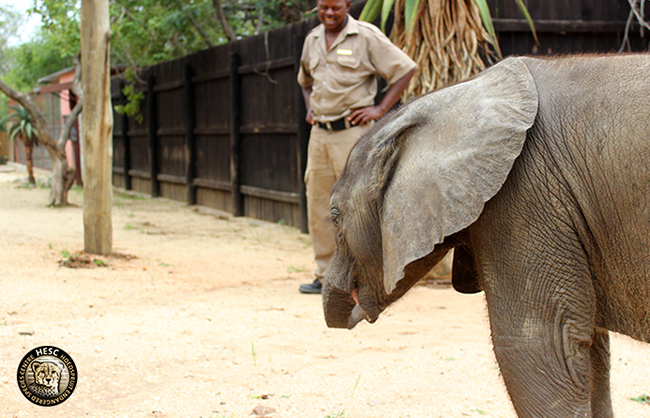 Elephant grooms, Stavros and Joshua, are definitely kept busy and still take turns to watch him 24/7. 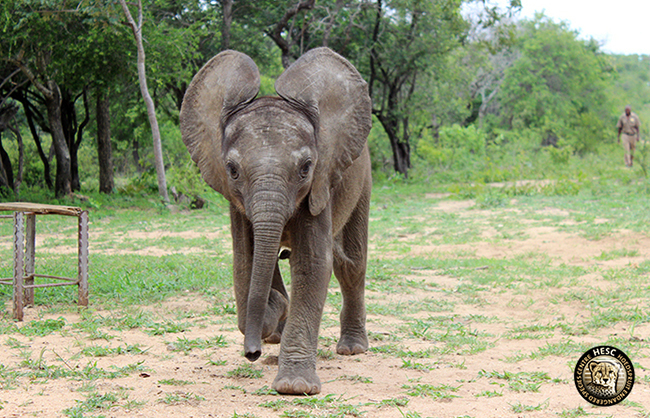 They take him on daily walks so he can explore the surroundings outside his boma. Shawu’s state of health is satisfactory. He grows from strength to strength!